Eco-Friendly 4 Litre Room Humidifier - (2-Pack) (White) Rumidifier Room Humidifier is an extremely energy efficient and Eco-friendly Humidifier that works without any electricity. Rumidifier is powered by the dry air circulating from central furnace whereby the forced air coming up through the heat register passes through the Rumidifier unit and blows out moisture-laden air into the room. The unit is very easy to install over any floor vent and provides quiet operation with low maintenance. It also has the added convenience of being Cordless and Compact. 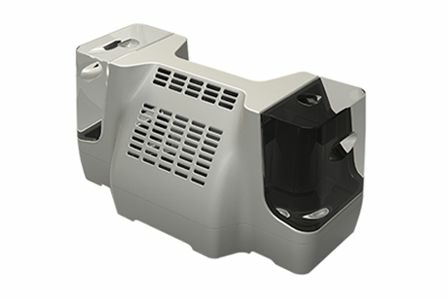 Eco-Friendly 4 Litre Room Humidifier - 2 Packs (White) is rated 4.3 out of 5 by 3. Rated 4 out of 5 by Lifer from Single room humidifier Purchased these a month ago, great for single room. Rated 5 out of 5 by Belfry from Exactly what we needed. We are very pleased with this effective low-tech humidifier. It does a great job! We have one on the main floor and one upstairs, covering about 2000 sq ft together. No running cost, and worry-free. Rated 4 out of 5 by sergey from Good idea but needs improvement. I bought this humidifier a month ago. Overall it works great but filter needs improvement or has to be made from different material. Humidifier was working good for 2 weeks. After filter got dry and didn't absorb water anymore. I washed it from deposits but it fell into pieces and looks like it's not design to be washed. So basically in 2 weeks you are going to need a new filter. Keep it in mind when buying this humidifier. If they improve the filter it could be a great item to have in your bedroom. Hi, I bought 2 packs of Rumidifier a month ago. I love the simple tech. However, one works great but the other filter was divided and it seems not working as the other. Looks different now from the other one. Can you please change or send one filter? All the filters are same. Please wash the filter monthly in venegear and maintain for prolonged use.